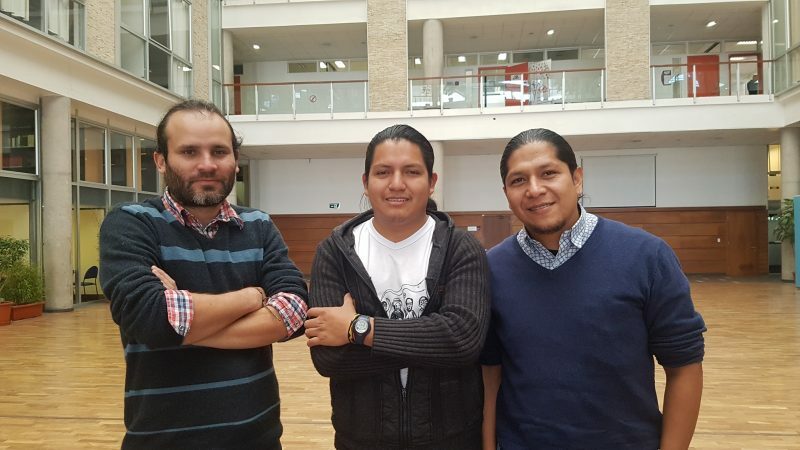 Andrés Tapia, Apawki Castro, and Juan Diego Andrango were some of the people who participated in the first series of the Reframed Stories project. In 2017, Global Voices and Rising Frames started the Reframed Stories project, an ongoing, participatory digital storytelling initiative that works with community members to analyze data around media representation. The main objective of the Reframed Stories project is to work with indigenous communities that have been historically excluded or misrepresented in media and to help them see how they are being depicted in the news. The story initiative also provides a platform for discussion about this representation and a place where communities can respond to the coverage from their own perspectives. In the initial phase of this collaboration, the Reframed Stories’ team works with community members to analyze media data and then they create stories together. In this post, we reflect on the success of our first Reframed Stories collaboration and discuss our plans for the future. At the Reframed Stories project, we believe that stories about communities must be told by the community itself. All too often, these stories are distorted or not included in media coverage which only serves to deprive community members of their voices. We wanted Reframed Stories to be a space where indigenous communities could analyze media coverage and use this data to reflect on the ways they are portrayed in the media. Following this principle, we developed the first series of the Reframed Stories project in close collaboration with the indigenous community of Sarayaku and the Shuar nationality, both situated in the Ecuadorian Amazon region. 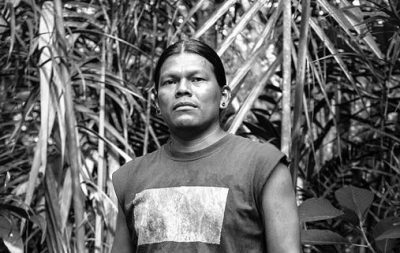 These groups have been standing up to extraction projects in their territories for years and have taken their fight to the national and international level. As such, they have important insights to share about the media coverage of community resistance strategies. For the first phase of our project, we began an initial exploration of national mainstream coverage around this community and the fight to protect their land; however, our findings suggested that it was not always explaining the whole story. The motivation behind these protests as well as the proposed solutions offered by members of these groups were often left out. Media Cloud, a tool for media analysis, allowed for a deeper exploration of this coverage. The Media Cloud tool helps to analyze media coverage by highlighting keywords used by different media sources around chosen topics at specific moments in time. For example, the word cloud below shows the most common words used by Ecuadorian mainstream media in stories referencing the Shuar people between May 2016 and June 2017. Dominant words from 697 articles published between May 2016 and June 2017 found mentioning “Shuar” within four Media Cloud collections of Ecuador’s Spanish-language media outlets. (View original query; View larger image). Looking at the word clouds, such as the one above, members of the Sarayaku community and the Shuar Nationality were able to see how Ecuadorian media sources were covering certain topics of interest. Through this method, they were able to reflect on the ways that groups in power have framed their community and their protest movements in a negative light. They were also able to see how national mainstream media is neglecting to include indigenous youth in its coverage as well as other crucial topics that represent the diverse and positive initiatives emerging from their communities. This collaboration also offered them the opportunity to dive deeper into their communication strategy, allowing them to reflect on their ability to successfully communicate both their struggles and achievements to a broader audience and to find different avenues to respond to biased media coverage. This is a very good tool because it allows us to analyze the way in which words, information, and discourse are being managed by the media. It adds to collaborative processes of our own communication because it shows that mainstream media tends to represent aspects more linked to commercial interests, but it does not generate information from the reality of indigenous communities and nationalities. Tools of this kind can become an element to analyze our communication work and guide us in choosing the best way to respond to the information generated by traditional media. These kinds of tools could be very useful for us both in terms of internal organization for communication work with indigenous communities and nationalities, and for our educational and training purposes. We work very closely with communities and these types of programs would help us show a visual representation of the ways in which media is covering certain topics, while proving that communication does have an important impact. Communication helps youth to connect among ourselves, expressing what we feel and think to a broader audience and documenting the activities that we implement to keep working and joining efforts with people of all ages. Every era brings new things and we want to continue generating more networks, using new technologies which can allow us all to share what we learn along the way in a collective construction in unity, where each of us contributes and helps each other in different ways. Globalization and technology should not absorb the work of our communities. Instead, we use these technologies as tools to complement our efforts. Besides creating our media such as our blog, we are interested in collaborating with different media and groups using new tools and technologies so that people both inside and outside Ecuador can know more about what we are doing in Sarayaku and in other places of the country and we can join efforts and learn from each other. These new media tools can be powerful allies in the fight for representation in media ecosystems. 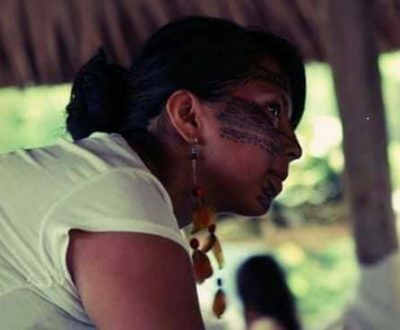 Through the participant comments from the members of the Sarayaku and the Shuar Nationality, we can see that new communication tools, such as Media Cloud, have the potential to help communities participate in conversations about their representation and reflect on possible ways to respond to this coverage. In doing so, bridges between communities can be built, fostering collaboration and strengthening existing efforts. These bridges become even stronger thanks to the Global Voices’ Lingua project, which translates stories to more than 45 languages. Posts from the first Reframed Stories series reached a global audience through their translations into Spanish, Russian, Malagasy, French, and Chinese. Inspired by what we learned from this experience, we are now looking forward to working together with Indigenous and First Nations peoples in Canada. We also hope to provide existing collaborators with what they need to continue using Media Cloud in the future. We are working towards making this tool available so that more communities can learn about their representation in the media. If you are interested in finding out more information, please contact us. We would love to help you find new ways to tell your own stories!